The carbon steel pipe and seamless steel pipe are both different from the welded steel pipe. Here are the differences between carbon steel pipe and seamless steel pipe. 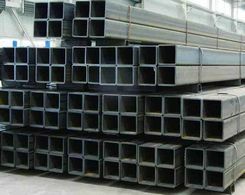 When steel ingot or solid tube with a hole forms tubular billet and then experiences hot rolling, cold rolling or cold-drawing, the carbon steel is coming into our view, which is entirely different making progress of welded steel pipe but the same as the making progress of seamless steel pipe. Although the carbon steel and the seamless steel pipe have a similar making progress, a large number of differences are existed between them, considering the aspect of material and processing technique. In terms of material, carbon steel is one of the materials used in seamless pipe while carbon steel pipe is only made from carbon steel. The content of manganese in carbon steel is about 0.25%-0.80%, which strengthens solution, eliminates FeO to reduce the brittleness of steel and combines with sulfur and forms MnS to decreases the harmful effect of sulfur. And the content of silicon is 0.10%-o.40%, which strengthens solution and eliminates FeO to induce the brittleness of steel. 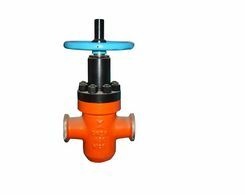 All in all, manganese and silicon have similar effect which is good for carbon steel. However, sulfur and phosphorus do harm to carbon steel. FeS and Fe easily form low-melting-point eutectic, which leads to steel becoming crisp and crazing in hot working at 1000-1250℃.What's more, although phosphorus raises strength and hardness, the reduction of plasticity and toughness are caused. Thanks to the harm caused by sulfur and phosphorus, some of seamless steel pipes used in high-pressure boiler, petroleum cracking process and so on, which command strength, hardness, plasticity and toughness all at high level, must give up carbon steel as their material but choose other kinds of alloy, stainless steel and so on. That's why the material of seamless black steel pipe which contracts the welded steel pipe is different from the material of carbon steel pipe. When it comes to processing technique, the processing technique of seamless steel pipe is two of processing techniques of carbon steel pipe. Seamless steel pipe has two entirely different types of processing technique: cold-drawing and hot rolling, which are the same as the processing technique of carbon steel pipe. However, carbon steel pipe has another processing technique, which is named ‘cold rolling'. The round billet experiences heating, being born a hole, forging, annealing, scouring, fat liquoring and copper plating, times of cold rolling, forming billet, hot working, straightening and flow detection and finally is turned into carbon steel pipe, which is the processing technique of cold rolling. In general, the processing technique of carbon steel pipe is more complex than the processing technique of seamless steel pipe and both are different from the welded steel pipe. Generally speaking, carbon API steel pipe and seamless steel pipe is quite similar to each other but still have differences: differences in material and processing technique. When you choose the pipe from carbon steel pipe and seamless steel pipe in the future, you should carefully pay attention to the slightly different parts between them. Prev:How Wonderful Seamless Steel Pipe is! What is Stainless Welded Steel Pipe Used For? What Is the Stainless Steel Pipe Function?